November is almost gone, passing on the political build-up and its burdens to December in the run-up to the May 21 2019 Tripartite Elections. But as everyone warms up to the festive period, most political parties and their aspiring candidates for office are unlikely to have a restful and merry period. 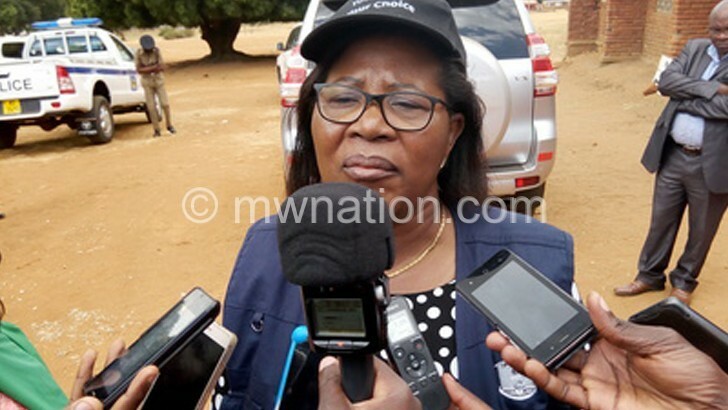 They have so much to do before identifying the final lists of candidates and submitting their nominations to the Malawi Electoral Commission (MEC) by February 8 2019. Currently, no party has completed primary elections while others have not even held their elective national conventions. Take Malawi Congress Party (MCP) for instance. While it was the first to hold a convention and conduct primary elections, it is now 12 weeks—and counting—since it launched its primaries; yet, the grouping is yet to choose candidates in some constituencies. The governing Democratic Progressive Party (DPP) is in its sixth week of primaries and there is still no end in sight long after the convention glow has faded. United Democratic Front (UDF) is yet to set a date for the primaries despite holding its convention so is People’s Party (PP). In case of UTM, not only is the party yet to hold its national convention, it has not announced when it will conduct primaries. Meanwhile, reports of exploratory talks for possible electoral alliances remain inconclusive, complicating the process of picking presidential running mates. The parties will also need time to heal the intra-party divisions resulting from bitter convention battles and primary elections before the final nomination day if they hope to present themselves as united fronts. But with MEC announcing that candidates should start collecting nomination papers from January 4 for presentation between February 4-8 2019, what do the parties say? Despite the apparent race against time, during interviews yesterday, the parties were confident that all differences emanating from the primaries will have been resolved by December 30 2018. MCP spokesperson Maurice Munthali, whose party is embroiled in disagreements, especially at parliamentary level in some constituencies, is adamant that all is rosy. Parties that have not even started the primaries such as UTM, UDF and PP also sounded confident. PP spokesperson Ackson Kalaile-Banda said all processes will be concluded by January 4 2019, but could not mention when the primaries will commence. DPP spokesperson Nicholas Dausi said the date of January 4 2019 is “in fact too far, because we will be ready before December end”. But UTM interim secretary general Patricia Kaliati sounded more realistic on the dates, saying some parties could be doing the primary elections in January, and hoped that the dates from MEC may change. Meanwhile, University of Livingstonia-based political analyst George Phiri does not see the practicality of all parties finishing primary elections and resolving differences by January 4 2019. In its notification on the matter, MEC advised candidates and political parties wishing to contest in the elections to ensure that they check if they or their candidates are eligible to contest.